Some of the Senegalese girls who are being spread the pain of female genital mutilation/cutting as a result of Tostan's work in their community. Many organizations are working to eliminate female genital mutilation/cutting in Africa. But the organization that has been most successful in this, Senegal's Tostan, was not originally focused on this particular harmful practice. "We didn't set out to end FGC," says Molly Melching, who founded Tostan in 1991. 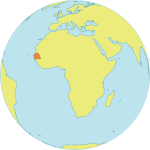 (The name Tostan means "breakthrough" in Wolof, a main language of Senegal.) "This is a holistic programme. The goal was simply to empower communities to make their own decisions about everything, including the things they've always taken for granted." Villagers have come to the decision to abandon FGM/C on their own after learning some basic facts about the harm the practice inflicts on women and their children and, just as important, coming to the realization that people have the right to abandon a pervasive, deep-rooted, centuries-old tradition if that tradition is contrary to their best interests, she explained. Ms. Melching prefers the term female genital cutting (FGC) to female genital mutilation because she finds the latter too accusatory. "We don't talk about mutilation because mutilation means cutting with the intention of harming," she says. "Women do not want to harm their daughters; they want them to succeed – to be marriageable, to be welcomed into society – that's why they do it." Because of Tostan's remarkable success in ending the practice in Senegal, the UNFPA-UNICEF Joint Programme on FGM/C is also supporting the organization in the Gambia, Guinea, Guinea Bissau, Djibouti and Somalia. Tostan's carefully designed community empowerment approach is rigorous and intensive. It is based on learning and on communicating knowledge within Senegal's extensive social networks. When Tostan comes to a new community – and nowadays this is always by invitation from local people – separate groups of around 30 adults and 30 adolescents volunteer to form two classes. The classes, which are instructed by trained Senegalese facilitators, meet three times a week for two to three hours each session for a period of three years. The curriculum broadly focuses on governance, education, health, the environment and economic growth. The total cost for 60 students for three years is approximately $330 per student, or about $20,000, which is covered by donor funds. Women celebrating at a public declaration ceremony announcing the abandonment of FGM/C in Nemanding, Senegal. From the beginning, each class participant is recruited to pass on what he or she is learning to another person, who, in turn, will pass it on to someone else. This system of disseminating information and ideas has been especially effective among the loquacious Senegalese. When each student passes along the information, at least 120 people are instantly involved and they, in turn, reach out to others. This reinforces the learning process and creates a ripple effect where learners become teachers and knowledge achieves a critical mass. Most members of the classes (about 70 per cent are women) have never been to school. The first year, the curriculum consists of discussions about human rights, democracy, problem-solving, health and hygiene. Simply telling people that changing their habits, traditions and beliefs will improve their lives is not enough: they have to come to this conclusion on their own. That is why the word 'discussions' is so critical. Learning in the Tostan classes is achieved through an approach that allows students to learn by talking about curriculum topics in the context of their own lives, experience and, often, what they already know without realizing it. The second year focuses on literacy in the local language and math. (Tostan currently works in 22 African languages.) "After a year of the other classes, they're very anxious to learn to read and write because they understand how it can help them," says Ms. Melching. Literacy is taught using a device that gives tangible, potent meaning and impetus to the process of learning to read and write: cell phones capable of short message systems texting. In the third year students apply their new skills to more advanced texting and navigation. They also learn the principles of microfinance for business development, how to do business feasibility studies and project proposals (thus allowing them to qualify for loans). And they learn management skills, record-keeping and how to write financial reports – all in the context of their own circumstances and aspirations. Communication is the driving force of the programme. "We teach reading not merely with letters and symbols but through using themes like human rights," says Ms. Melching. "We use the cell phone because we want the students to use their literacy skills doing what they do best: communicating. The oral tradition is very strong in Africa. In our programme, people learn about their human rights through discussion and dialogue." In discussing human rights – a brand-new concept for many – the Tostan facilitators begin by asking participants to share their ideas about their own futures and what kind of community they want to live in. Invariably, says Ms. Melching, the students come up with the components of a human rights-based society, without ever having heard of the concept before. They mention health, education, freedom from hunger, freedom from violence, equal opportunities, work and access to social services. At this point the stage is set to tell the students that these things are, in fact, the individual rights which they share with everyone on earth. "We tell them, 'These are things that the United Nations has identified as principles for every human being,' " says Ms. Melching. "We give them the opportunity to discuss individual rights and decide if they think they are relevant to their own situation. It's very exalting because they begin to understand that they're part of a world-wide movement and they're very proud to learn that the Universal Declaration of Human Rights has been adopted in their own constitution." These are ideas that ignite in people a compelling new sense of both possibilities and expectations. When people learn for the first time that they have clearly identified rights, it is also important that they recognize that they are responsible for implementing and protecting these rights. "We not only want to inform our students about human rights," says Ms. Melching, "but to have them engage in a self-educating process by discussing these rights among themselves, and to think about them in the context of their traditional culture and religion, which in Senegal is Islam. Once people do this, they begin to see that their rights can be, and must be, a part of their everyday lives." Rights soon emerge as an integral part of the sessions on health. Within this framework, participants learn about the risks of infection and of complications in childbirth caused by FGM/C. (In Senegal, all forms of female genital cutting are performed including the most extreme.) They learn that the practice plays a significant role in the high rates of maternal and infant mortality their communities' experience. They come to understand that genital cutting is neither required nor sanctioned by Islam, that it confers absolutely no health benefits, and that its abandonment will improve the health of women and increase the likelihood that newborns will survival. However, in a society where everyone practices FGM/C, no one person or group of people can decide to abandon the practice and still be accepted as members of the community. To be accepted, the decision to eliminate genital cutting must be a collective one involving not only all the members of the local community but, crucially, all the communities with which the original group intermarries. FGM/C renders girls marriageable, so if a community decides to abandon the practice, the groups with whom this community intermarries must be prepared to abandon it as well. The first Senegalese village whose people collectively decided to abandon FGM/C did so in July 1997. The village publicly announced the decision, even inviting journalists to cover the event. Predictably, the surrounding communities were shocked and incensed by this break with the past. A village chief and religious leader, Demba Diawara, a participant in the Tostan programme, explained to Melching what the problem was. Public declarations are a time for singing and dancing. "He said the reason the community is having so much trouble is that they did this alone," recalls Melching. Communities intermarry within large networks of villages, and one village alone cannot abandon the practice without facing ostracization by the wider community. Diawara's advice: work respectfully toward the goal with the entire community of marriage-affiliated villages and hold public commitment ceremonies marking the abandonment of FGC. He then volunteered to walk throughout all the villages in his community's network and spread the word that the practice was being ended. As a result of Diawara's communication efforts, the first inter-village declaration of FGM/C's abandonment occurred in February 1998 when 13 villages came together as an extended social network and collectively rejected the practice. Other villages began to take notice. "When people saw the example of some villages standing up and abandoning FGC," says Ms. Melching, "they thought, 'OK, if others can do it, then we can too.'" Five months later, 18 more Senegalese villages, all of which had gone through the Tostan programme on human rights, decided to end FGM/C. Since then, the process has taken on a life of its own. Of the 4,500 communities in Senegal and elsewhere that have abandoned FGM/C so far, not all participated directly in the Tostan programme. "Often, a community learned that others were giving up the practice and then reached out to their own intermarrying communities in order to take the same step," Ms. Melching explains. The second stage of the Tostan programme involves reaching beyond a single village where change has germinated and influencing entire multi-community social networks through traditional means of communication: theater, song, dance and poetry, both within that village and at meetings and informal contacts with other villages. Senegal's traditional communicators, called griots, are central to this process. Lately, Tostan participants have even been making films about ending FCM/C; these are shown on improvised screens from the back of a motorcycle. The final stage of communication, which begins in the second year of the Tostan programme, focuses on text messaging with cell phones. Interestingly, many villagers already had cell phones before they got involved in the programme. (Tostan distributes phones to those who need them.) But in the past, they rarely used the phones because talking is expensive and few people knew how to read and write, so texting was precluded for most. Becoming literate is always challenging, especially for adults, but under the Tostan programme, texting has proved to be an extraordinarily potent motivator. Problem solving: anything from how to repair irrigation pumps and plant woodlots to how to use fuel-efficient stoves. Hygiene: for example, how to prevent infection, keep the environment clean, build latrines and filter drinking-water. Health: among other things, how to prevent diarrhea and malaria, the need to vaccinate children and the dangers to women's health of FGM/C and child-marriage. And, thanks to cell phones and texting, the communication network now extends to the African Diaspora: to immigrants living in Europe and the United States who are often still very much a part of the decision-making processes in their home villages. "The expatriates are still very connected to their villages," says Ms. Melching. "If they are not included in decisions, they could block everything you're trying to do. They can come back with their money and their power and their influence and move people back to the old ways." Although Senegal enacted its law banning FGM/C in 1999, enforcement has been very difficult. Even when people knew the law existed, very few understood its purpose. "We teach the law by bringing people through a process of understanding the reasons behind the law," says Ms. Melching. "FGC is a social norm which everybody accepted. But suddenly the law says it's no longer accepted. Why? Why would this age-old practice be against the law? So people discuss it among themselves and then they reach out to the rest of their community and they say, 'What do you think about this?' And they come to the conclusion, 'Yes, it's true, this should not be allowed because it can be harmful and we do not have the right to harm others.' This community-based process is very powerful and it's worked everywhere. Even the most conservative communities – in Somalia for example – have declared that they're abandoning the practice. People are open to this because it makes sense." A recent UNICEF-funded study found that, after ten years, 77 per cent of communities that had said they were abandoning FGM/C had actually done so. According to Ms. Melching, as such things go, this is an extraordinarily high percentage. She believes that it's only a matter of time before the remaining 23 per cent of communities will follow. "What counts is building a critical mass of action," she says. "In any social transformation, you never have a 100 per cent result all at once. But as the critical mass grows and more and more people say, 'Yes, this is the right way to go,' more people buy into it and it becomes an essentially spontaneous, self-perpetuating movement." In Senegal, many government agencies and non-governmental groups have been working since 1999 to encourage FGM/C abandonment by a variety of means – many of them judgmental. But that is about to change. In February 2010 the government launched a new 2010-2015 Action Plan to End Female Genital Mutilation/Cutting. What is different about Senegal's new plan is that it establishes the human rights approach to ending FGM/C as government policy. Implementation will be based on three major steps: empowerment through education for the people themselves; organized diffusion of information whereby the people reach out to their social networks; and public declarations of abandonment of the practice. Ten United Nations agencies have published a statement endorsing this approach. The reason Tostan has been so successful is that the decision to abandon FGM/C is not being imposed on anyone from outside. People are coming to this decision on their own, because they now have information and have been empowered to act. According to Molly Melching, this is a sign of true development. "Development is the ability of people to make the best decisions for themselves based on correct information," she says. In the early days of Tostan, in 1988, Module 7 was the part of the Tostan curriculum that focused on human rights and women's health, including FGM/C. A woman participating in a class at that time wrote this poem in praise of Module 7. This is an excerpt. Especially their right to health. Help them to learn about their bodies. Share your knowledge with your daughters, Especially at puberty. Don't be ashamed any longer! Helping you to learn How to have a successful pregnancy. She will tell you about childbirth and the importance of planning your childbirth. To abandon such harmful traditional practices!